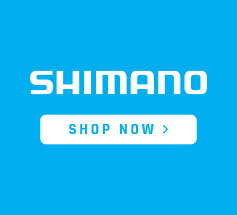 WHERE DO YOU WANT TO RIDE YOUR E-BIKE? A great alternative to travel by car or public transport - plus no more getting stuck in traffic! Designed for laid back cruising in comfort and style! We recommend using straps to make you have everything down tight so the bikes won’t move. Extra straps are always a good idea too, just in case you lose some! How Far Will an Electric Bike Go? An e-bike range is typically 40 - 200km on a single battery charge, dependent on battery size. 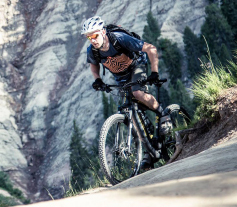 However there are a number of factors that will also affect range; such as weight of the rider, the level of pedal assist you have set, any load that is being carried, if you are riding hilly or flat terrain and head or tail winds. How Fast Will an Electric Bike Go? Electric bikes with a 300W motor will typically average between 27-30km hour, although this will vary depending on the input of the rider, the gears on the bike, any tailwinds, headwinds and weight being carried etc. You can potentially increase the speed of your e bike - but be aware that anything with a motor power output over 300W needs to be registered as a moped in NZ. You can read more about this here. 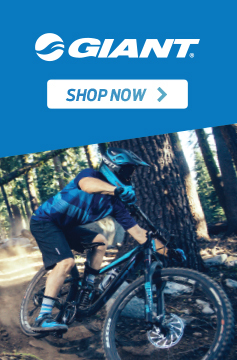 Are There Limits to Riding Electric Bikes in NZ? When used on roads, paths and in public access areas, the legal limit for a motor in NZ for a "power-assisted cycle" is a maximum power output not exceeding 300W. Power-assisted cycles follow the same regulations as regular bicycles - all you need is a helmet! Anything exceeding 300W in power output is legally classed as a moped and so must be registered and ridden by a licensed driver etc. You can read more about this here. There are no limits for offroad use. What Should I Look for in a Battery When Buying an E Bike? There are a number of things to look for in a battery when buying an electric bike. Electric bike volts are essentially the "horsepower" of your bike. 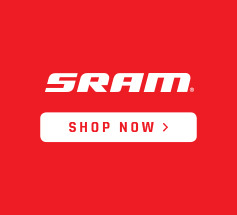 Amp hours are the amount of range you will get with your bike. The higher the Ah the further you will generally be able to travel - however it does depend on a range of other factors such as riding up hills and into headwinds which will reduce your range. Larger electric bike battery sizes have increased capacity to store the energy used to power the bike. Larger batteries will also take longer to charge and can be physically larger and heavier than their smaller counterparts. E bike batteries typically take between 4 and 8 hours to charge. If you want quick charge times and won't be using your pedal assist a lot, a smaller battery may be best for you. The battery can be charged as often as you like - the Lithium-ion batteries used in e-bikes don't discharge over time so don't need to be run completely flat before charging. Topping up the charge after each ride is a great idea. What Are the Types of Ebike Motor Systems? Where the motor is mounted to one of the wheels. The motor drives the wheel to assist in powering the bike. These motors are sealed and quite low maintenance. Their simplicity means they also tend to be cheaper. Where the motor is mounted at the crank. These tend to be better going up hills. The motor drives the crank which works with the bikes gears and increases the power efficiently. The weight of the motor feels more evenly distributed due to it being mounted low and central. These tend to more expensive than hub drives. Electric bike motors tend to come with a 2 year warranty, but it always pays to check the individual bikes. What Maintenance Do Electric Bikes Need? How often will I need to get my e-bike serviced? What maintenance is involved with an electric bike? 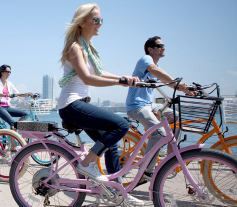 Electric bikes typically require little more maintenance than the regular servicing associated with normal bicycles. As with standard bikes, it's important that you have your e-bike serviced regularly to extend the life of your bike and ensure your safety. All our stores offer electric bike servicing, including Bosch diagnostics. Any puncture will need to be repaired, just as you would with a normal bicycle. How heavy are electric bikes? Can the bike be loaded onto my car? 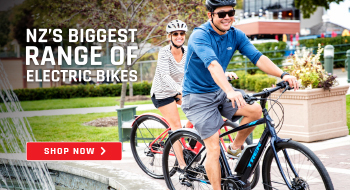 E-bikes are heavier than regular bikes due to the weight of the battery and motor. They can still be transported on your car with a quality bike rack. Our electric bikes are weatherproof, but please note they are generally not waterproof. They will handle showers but riding through deep water or submersion will likely cause the system to fail. What happens when the battery power runs out? If your battery goes flat while out riding you will still be able to use your bike as you would a standard bicycle. Just be aware that if your ebike does not have gears, you will be riding a single speed bike. Electric bike batteries are weatherproof but generally not waterproof. They will be fine if you are riding in the rain but you must ensure they are not submerged in water. How much does it cost to charge an ebike? Ebikes generally take 0.5-1kWh to fully charge a battery. This equates to approximately 10-30c per charge, provider dependent. If you're commuting to work it's a great idea to charge it when you get there. Unfortunately not. Regenerative braking is not often utilised with electric bicycles due to the need for the motor to be constantly engaged. E-bike batteries can typically be charged while still mounted on the bike OR removed from the bike and charged elsewhere. Does my electric bike come with a warranty? 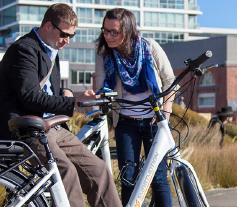 Electric bikes typically come with warranties on the motor, battery and frame. The warranty times vary depending on the product so check with one of our bike experts or see the product specifications on our website. 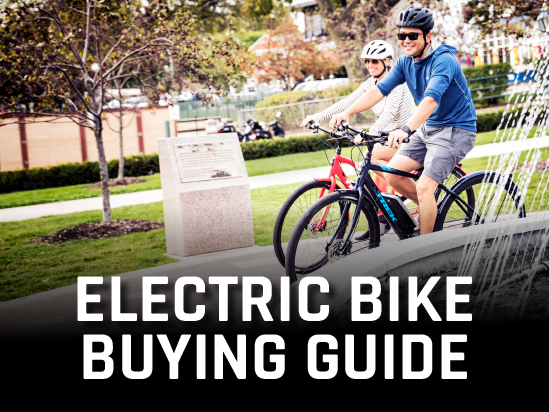 READY TO FIND YOUR E-BIKE?